For those who feel they’ve wasted hours, maybe years, sitting on the toilet, those days are behind you. The world’s first eToilet can turn your poop into power and become fertilizer or even water. 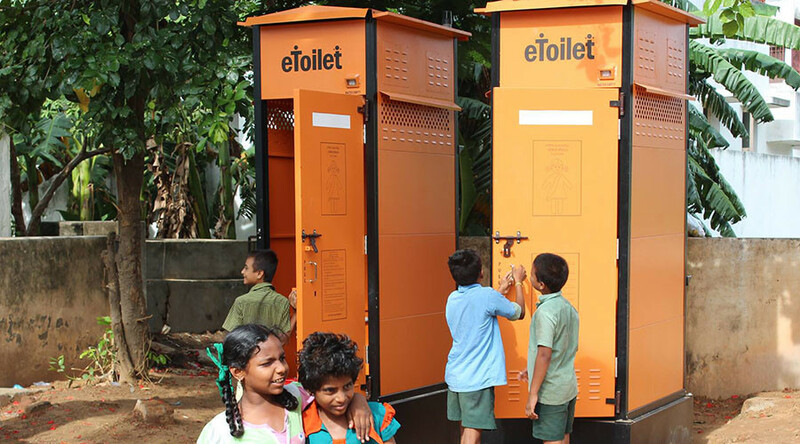 A school in Pulluvila, Kerala in India has been piloting the eToilets which use a “NEWgenerator” box developed by the engineering department at University of South Florida. Sanitation and access to toilets is a huge issue in India with more than half the population having to defecate outside. Sadath’s company already has 1,600 eToilets across 19 Indian states, with more than 400 sewage treatment plants, and is confident the NEWgenerator technology can be incorporated throughout the country. The eToilets in schools are free with locks on them to prevent any pee squatters, while other toilets require inserting a few rupee coins before entering. Both are examples of the privatization of public space often criticized by anti-poverty activists. “With our experience in successfully inducting high technology into the sanitation sector and simplifying it for the user, we are confident that this integrated system will be adopted for its simplicity and mass scalability,” Sadath said. India’s project was partially funded by a grant from the Bill Gates' foundation, which is appropriate given the billionaire's love of toilets. His $64 million mansion nicknamed Xanadu 2.0 has 24 bathrooms. Bill Gates has 24 bathrooms? How many shits can that guy take??? Last year, Gates put faith in new technology by drinking a glass of water made from feces. "The water tasted as good as any I've had out of a bottle. And having studied the engineering behind it, I would happily drink it every day. It's that safe," he said. There are eToilet models made especially for children as well as She Toilets for women containing sanitary dispensers and the promise of safe facilities.